“the A team” holdin’ strong! No, that is not an Evo. That right there is the Mitsubishi Lancer Ralliart. Quite an odd little experiment in model fragmentation by Mitsubishi. 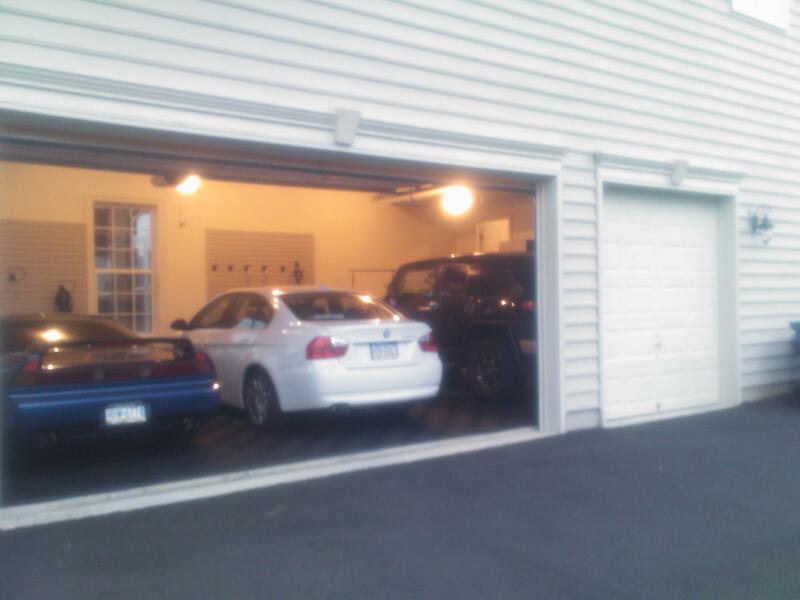 I should probably explain… I had always had a strange fascination with the Evo. I was also particularly interested in the dual clutch transmission released with the Evolution X. The Mitsubishi Lancer Evolution X MR (Mitsu needs to bolt on some more names there!) is a really expensive car in some ways though (over 40 large), so I was not 100% onboard with the idea of buying one. Pre-owned was an option of course, but for various reasons the prospect of a pre-owned Evo with a dual clutch trans was a bit daunting. I decided I would cruise down to one of the local Mitsu dealers just to have a look. Looking can’t hurt right? Well for me, looking is often synonymous with leaping. Arriving at the lot I immediately noticed this little guy and, thinking it was an Evo, trotted on over to take a look. I was quite surprised to learn that this was most certainly not an Evo, but rather was some odd mutant creation that had the turbo, some beefier suspension bits, the Evo hood and its own wing, and a generally Evo MR interior. Most importantly though, it had the dual clutch! The price was also pretty damn good at $31,000 so I decided I needed to test drive it. I took her for a spin around the block and was sold. The FJ plus a check for $10k and I found myself a Mitsubishi owner; something I never thought I would be unless it was behind the wheel of an Evo (this is foreshadowing). So how was it? I’m not going to beat around the bush here. If you want to know how Mitsubishi builds a world beating rally car that can hang with premium European performance champs around the ring all summer and then drift through snow at 80MPH all winter and manages to sell it for as much as a decently equipped Audi A4, look no further than build quality. The Ralliart (and all Lancers and even the Evo actually) screams “econobox”. The plastics are low rent, the paint is average at best, and there are lots of little vibrations and rattles that come and go almost from day one. 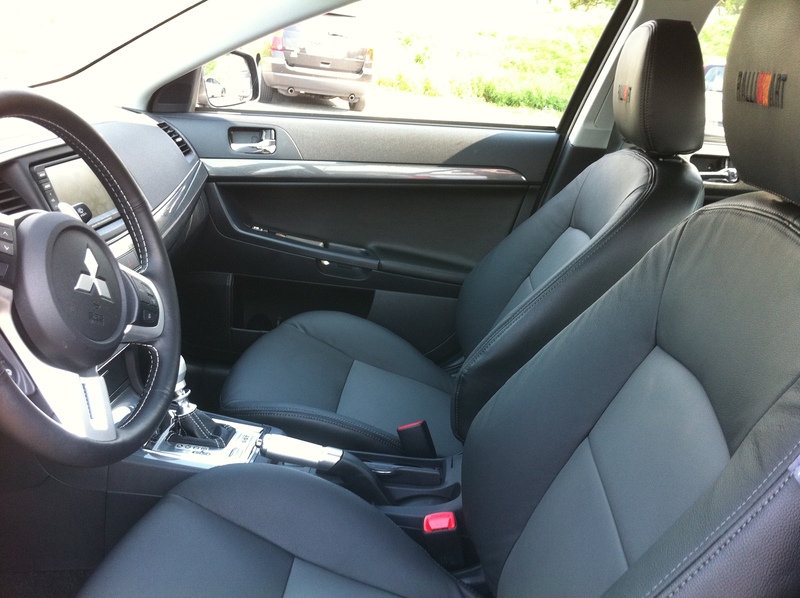 The seats were supportive and comfortable, however, the driving position and visibility were excellent, the ergonomics of all of the controls were great and the car was surprisingly roomy. This model was equipped with all of the gadgets including premium audio, bluetooth, the Mitsu nav system and the like and they all worked great. I found that I really liked the touch screen nav and definitely prefer it to the iDrive driven BMW system (gasp! 🙂 ). 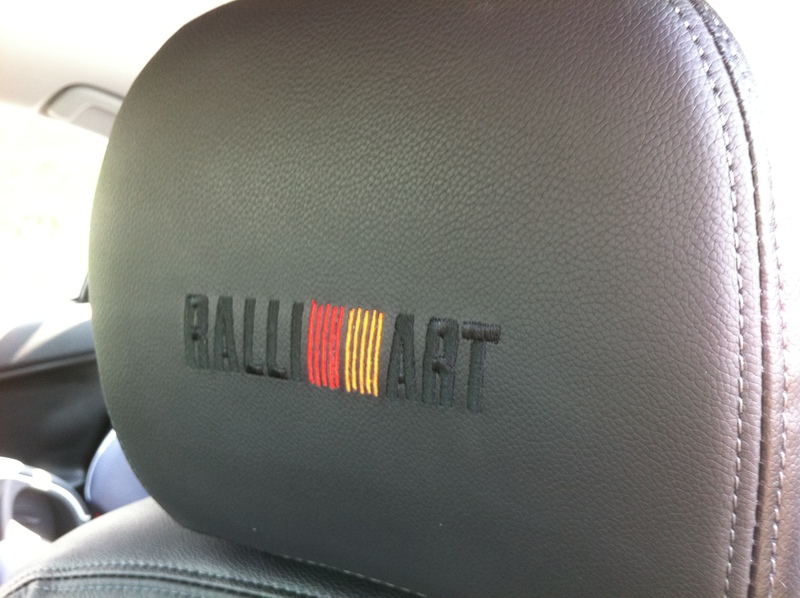 Design wise, the Ralliart is odd. It is a bit of the pedestrian Lancer (which itself is a decent looking car for the money and, in my opinion, sportier and more aggressive looking than its competition), and a bit of the fire breathing Evo. The mix is… interesting. 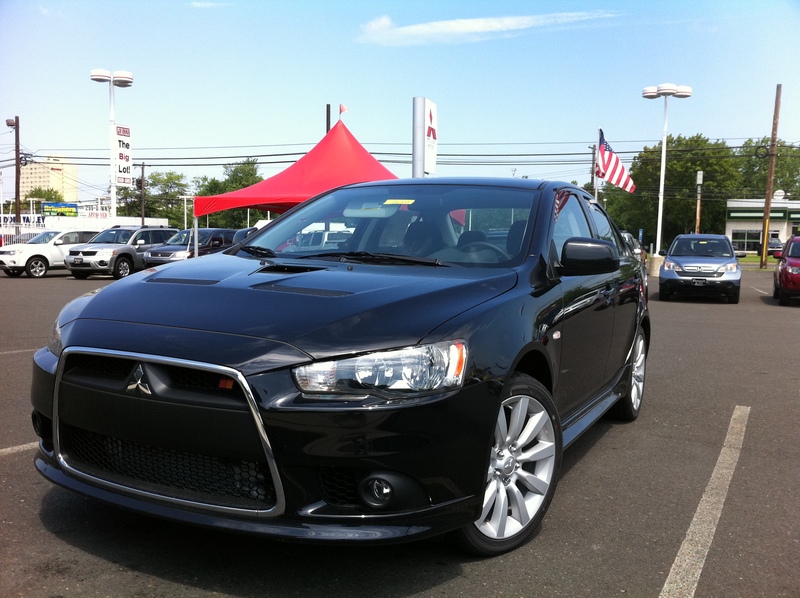 I can’t quite say that the Ralliart fully succeeds, but it isn’t a bad looking car either. Looks are subjective and my guess is that the Ralliart design probably struggled to find an audience: too little for the Evo crowd and possibly just a bit too much for most “regular Lancer” shoppers. My suspicions have probably been proven true by the fact that the Ralliart is gone in the current model year replaced by a standard issue Lancer that carries the dual clutch transmission! On the road, the Ralliart was pretty impressive. The suspension was firm, sports car firm really, but not punishing over rough roads. The soundtrack was mediocre and you get more turbo howl than exhaust note, but it was bearable even on long trips which isn’t bad considering the less than well insulated cabin. The steering and brake feel were quite good, if a bit soft on both counts, falling short of a BMW or Audi, but coming dangerously close to something like an Infiniti G35 in my opinion. Body roll was kept to a reasonable level (especially for a tall car) and stopping distances were good. The AWD system was excellent, as expected, and had much of the Evo’s functionality. The same holds for the computer controlled selectable settings for the All Wheel Control (AWC), giving you settings for tarmac, gravel and snow, and the transmission (which only lacks the “Super Sport” mode of the Evo). So far, somewhat surprisingly “Evolike”. Throttle response, unfortunately, was a different matter. I have developed a real love/hate with dual clutch which is ironic considering how strongly passionate I was about this type of transmission when it was just a theory. I love the fact that, once rolling, it gives me the performance of a manual trans without relying on my admittedly poort clutch work. I hate the fact that the computer is often all over the place in responsiveness when you aren’t rolling along. 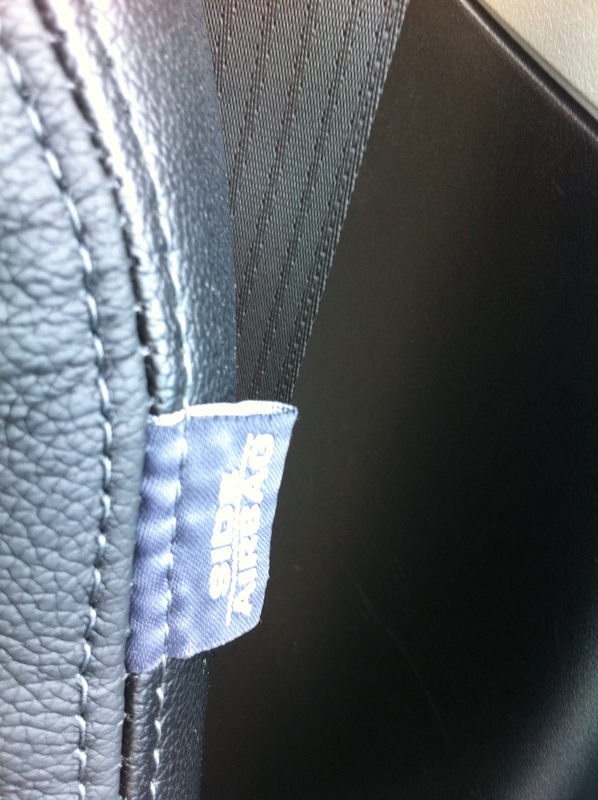 Every single car that has a dual clutch has the exact same threads on their forums with just a name swap. “Trans lag”, “dual clutch delay”, “dangerous hesitation!”. Have a look and you’ll see. And in every case incensed owners are convinced it is just that model, that the manufacturer was criminally negligent, and that a class action is in order (at least thats the case on the US forums since people here all claim to hate lawyers yet run to one the minute anything goes even slightly not according to plan). In reality, though, the low speed unpredictability really is a “feature” of a dual clutch and while it can be somewhat “tuned out”, through TCU code refinement (transmission control unit – the brains of the transmission), it really can’t be eliminated. If you think about it, getting a 3 pedal car moving perfectly smoothly off a dead stop is a bit of an art as it is. I know for me I never have truly good street launches. It is always either too much slipping the clutch which leads to a slow start, or two little which leads to a jolt. Of course I’m a mediocre manual trans driver and more experienced drivers can get it pretty close to “just right” consistently, but this is definitely a skill you build over time. With a dual clutch, the computer is programmed to try to emulate an experienced driver and, most of the time, it does that pretty well. It needs to do it completely automatically and without stalling the car, though, and it also orchestrates the engagement of two clutches (one for odd gears, one for even), so it’s a less than perfect science. This is why dual clutch transmissions make all kinds of troubling clunking sounds (normal), make you feel like you’re driving a car with 1/10th the HP if they end up missing a downshift leaving you at 1000 RPM in 4th gear, and often feel like it is a “push gas”… “wait”… “car moves” affair off the line unless you give too much throttle and take off like a jackass at every light, or learn to let the car roll a bit with some light throttle and then give deeper throttle to get moving. At the end of the day there is no getting around the fact that, mechanically, a dual clutch is exactly what it sounds like. It is a computer controlled manual transmission with two clutches. This means that you will get lightning fast shifts, the type of gear efficiency that only a really experienced manual transmission driver can muster, and the performance of a manual trans (and beyond). It also means that as an automatic, it will never be as “smooth” as a torque converter. An automatic transmissions keeps the engine permanently connected to the transmission via the viscous coupling of the torque converter. There is no “on/off”; the only setting is “on”. As a result, nothing can really beat the feel of an automatic transmission off of a street light. I recently drove a 2008 C63 AMG and it was by far the fastest feeling car I have ever driven (and given some of the entries to come that is saying a lot). I still love dual clutch for the benefits it provides, and the technology, but I do really find the downsides distracting. It also is a bit worrisome that these parts are basically super expensive black boxes made by a third party and licensed by the OEM that, at least in these early days, tend to be replaced (at massive cost), rather than broken open and repaired. I can imagine that, some day in the future, it would be a pretty strange thing having to replace a $10,000 transmission on a Ralliart worth $5000! Sort of like the issue with current early model 986 Boxsters if they suffer IMS failure. The replacement part (engine in that case) being worth more than the car. This is another thing to consider if evaluating whether or not to invest in a dual clutch transmission car with the plan of keeping it for the long haul. OK, I’ve said my peace on the dual clutch in general. The good news is that the Mitsubishi implementation (which is a Getrag unit), is actually quite nice. The bad news is that when you combine the inherent dual clutch hesitation, with the seemingly built in throttle delay on drive by wire cars (where the throttle is a digital thing and not direct cable attached), and add in a big turbo on a small engine (with it’s noticeable lag), you get a near “old school 911 Turbo” style binary experience. The Ralliart was almost an on/off switch. It could often feel like driving a Kia Sedona and then, after laying the pedal down to get it moving suddenly rocket forward like a Boss Mustang. Learning to modulate the inputs just so eventually helps a bunch. Modding, as we will see below, helps more! Pretty sharp! I was very pleased with this installation and the end result. So with the interior well sorted, it was time to take a look at what might be done about throttle response, overall power (the Ralliart is respectable with a 0-60 of roughly 5 and a half seconds but moar is bettah!) and transmission efficiency. I trolled the forums for a bit and discovered the wonderful open source community supporting the Ralliart, BrianK and his terrific free maps, and the Tactrix OpenPort ECU Flash solution to get them on there. I ordered up the parts, connected up the Tactrix cable to the OBD, connected my laptop to the other end, and (fingers crossed) dumped one of Brians maps into the ECU/TCU. The car accepted the flash update, rebooted and, amazingly, lurched back to life! 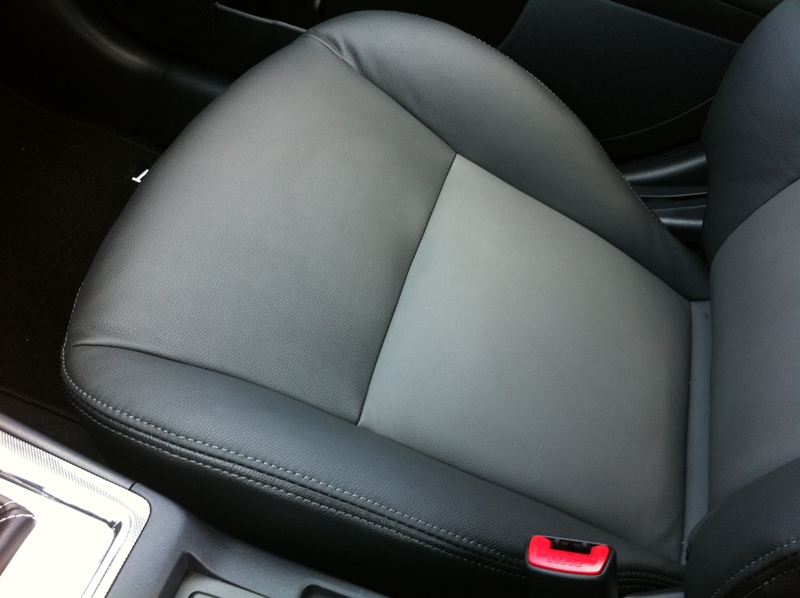 The difference was immediately and satisfyingly noticeable. With the entire car updated things were good for a bit. Unfortunately, I found myself still not quite satisfied. This was a fork in the road. Mod it even further, or cut the losses and move on taking a (definitely painful) financial hit?